Our family adopted Flor from Ecuador in late 2011, right before her 7th birthday. 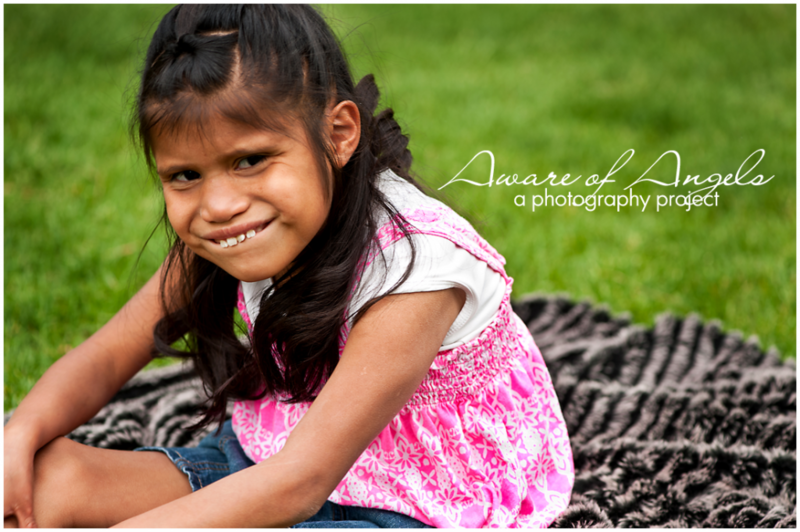 We knew going in to her adoption that she was significantly developmentally delayed, but she did not have a diagnosis. She had just started walking prior to her adoption and we knew that she had no verbal speech. 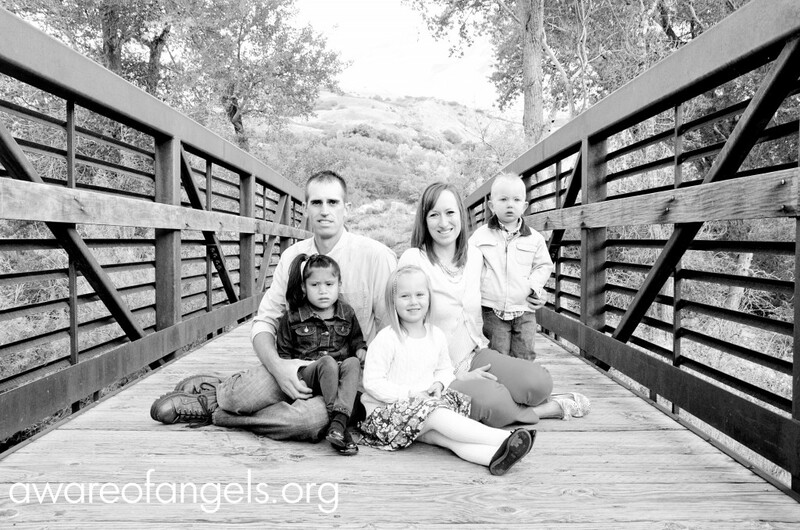 We didn’t know anything about her diagnosis, prognosis, or expectations for development in the future. Once we had her home, Flor visited with specialists after specialists, and finally, the genetics department of our local Children’s Hospital. 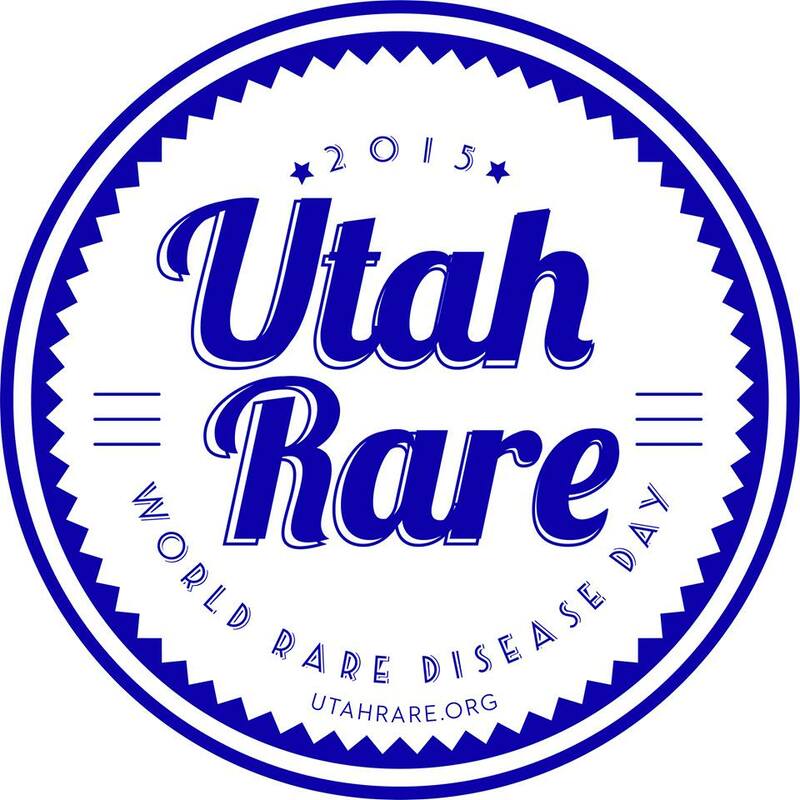 It was there that we finally got a diagnosis for her: 1P36 Deletion Syndrome. The diagnosis was wonderful for us because it gave us so much information and help that we didn’t have prior, along with some help in knowing what to expect for her future. One example that demonstrates the importance of expectations. When we picked our daughter up from her orphanage, we were told that she was ready to be toilet trained. We wanted to do the best for her that we could, so we took this suggestion to heart and started to try to toilet train Flor right away. It was frustrating for all of us. After a couple of months of attempting, we finally decided to stop. When she was diagnosed with 1P36 Deletion Syndrome almost a year after being home, one of the first things we researched about the disorder was the likelihood of toilet training. We found out then that most people with Flor’s Syndrome don’t toilet train. This information was such a relief to us. It made sense why we all struggled so much during our attempt at toilet training. We have been lucky in that Flor has not had any of the medical conditions generally associated with 1P36 Deletion Syndrome. Some of these conditions include thyroid issues, heart problems, vision problems, seizures, and others. Flor has been checked out by nearly every specialists there is and she checks out healthy. for which we are so grateful. 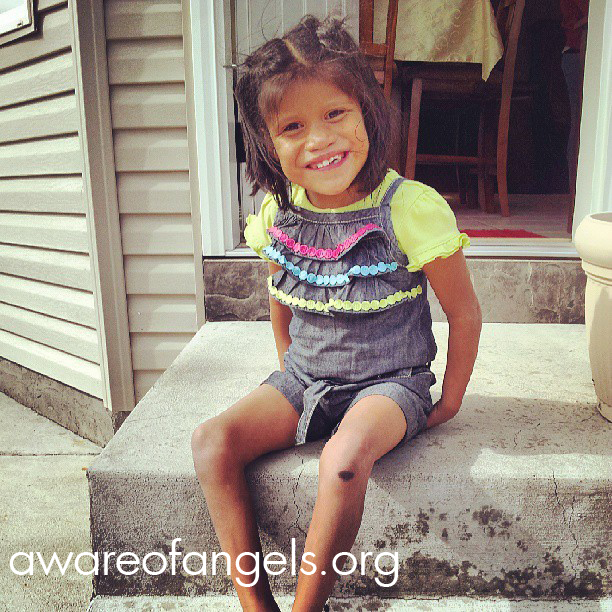 Flor’s symptoms revolve around developmental delays. She is now 9 years old, but tests on the level of a 15 month old. 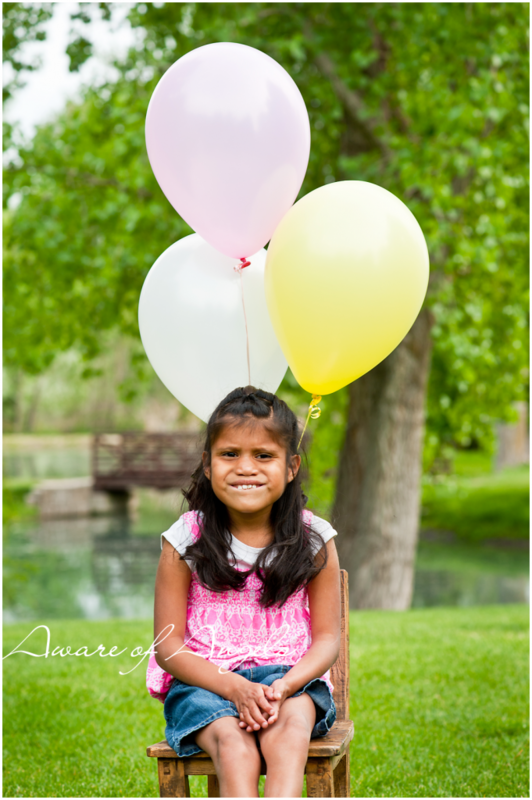 She began walking at age 6, is non-verbal, and uses about 15 signs correctly. She has had a number of behavioral issues that we have worked with, including pulling hair, biting herself and others, hitting, and she has always had a lack of personal boundaries that has been a focus of our efforts. We recently began Flor on some ADHD medication, though she has not been diagnosed with ADHD, on the recommendation of other moms with 1P36 children and have seen amazing results. She is much more calm and able to sit still for longer than one minute. Her teacher has commented that she is able to track progress much more easily now. Flor’s behaviors have also decreased, so the move to medication was a good one for our family. 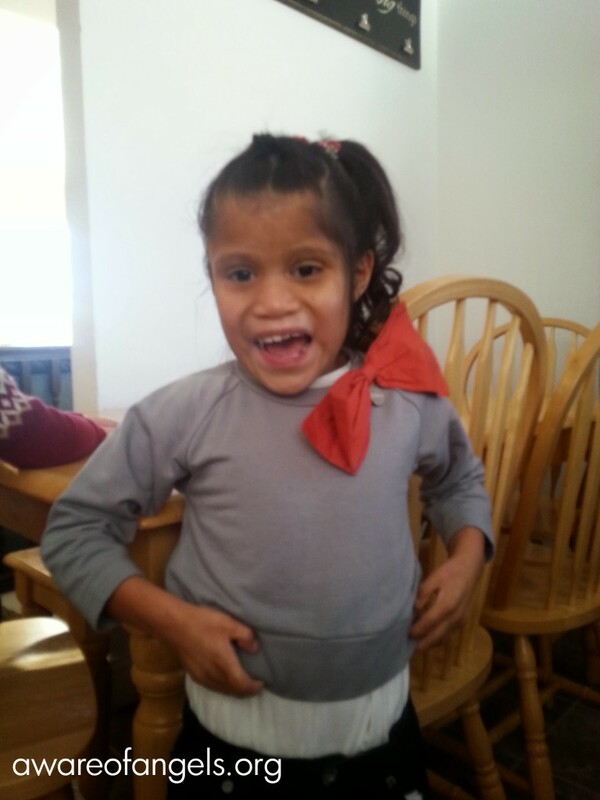 As far as needs, Flor gets some services through school, but only in very small amounts. She needs more physical therapy, occupational therapy, and speech therapy, but unfortunately these are not services that we can afford to pay for out of pocket. Our family could also benefit from respite services- to have someone trained to watch her for short periods of time would be such a blessing to our family. She is on a waiting list for services through our state, but the waiting list can be as long as 8-10 years to get services. There is definitely a lack of services in our area. One thing that has been immensely helpful for our family is an online support group through Facebook where we have been able to connect with other families who have 1P36 children. This has helped us know what to expect for the future and to just have a sounding board after especially difficult days. Despite the hardships that Flor has faced and our difficulties in getting to know what her Syndrome entails and in finding services, Flor has enriched our lives immensely. She is social, loving, and has a great sense of humor. She can bring a smile to anyone’s face and she has taught our family incredible things. We are so grateful that she is ours and that we continue to learn from her. Though her progress is slower to see, when she does make progress, it is that much more exciting. It is incredible to watch her learn and progress and to see her understanding the world around her.